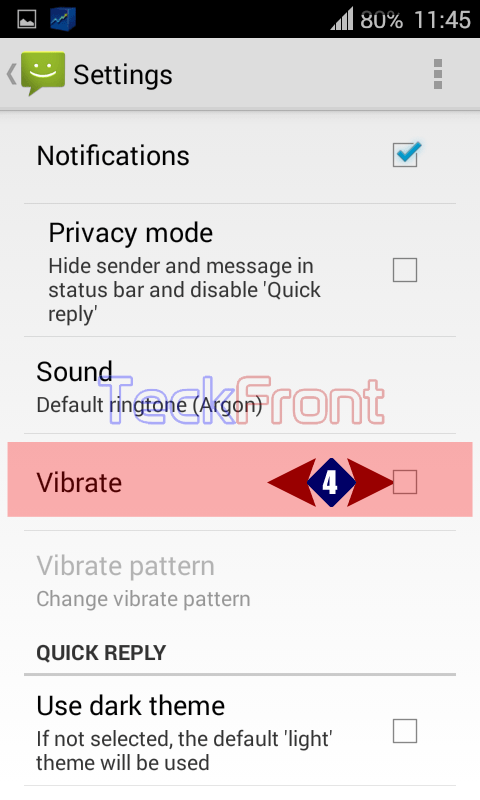 How to Enable Vibrate on SMS Notification in Android 4.4.4 KitKat Phone? SMS notification is just an one notification as it informs the user of Android 4.4.4 KitKat users about the incoming SMS. Sometimes, when you are in silence zone or at a place where tone is either not allowed or is not preferred. here the sound notification is not feasible. Here, in this situation, SMS notification by vibration is a preferred way of communication. You may either enable or disable the ‘Vibrate’ mode of the notification by following the instructions. Command Line: Messaging App > Settings Menu > Settings > Settings Screen > Vibrate – Notifications. 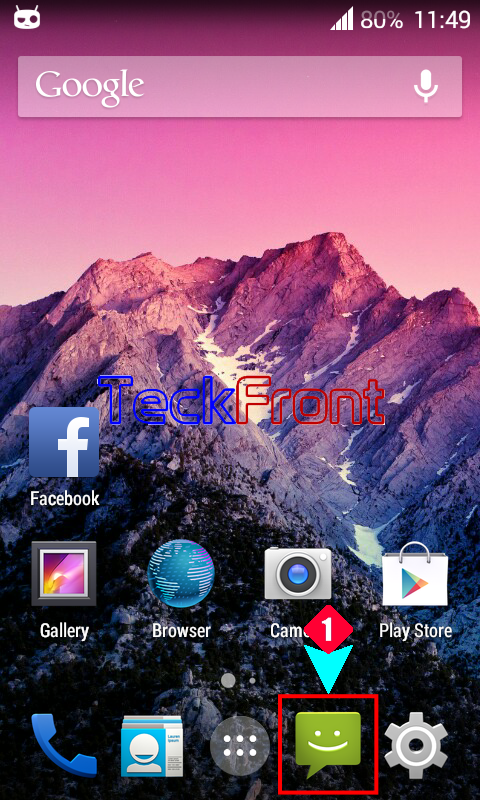 1: Tap the ‘Messaging App’ at the Home screen of your Android 4.4.4 KitKat Phone. 2: At the ‘Messaging’ app screen, tap the ‘Settings’ menu at the top right corner of the screen. It will open up a popup menu. 3: At the popup menu, tap the ‘Settings’. 4: At the ‘Messaging Settings’ screen, see the status of the ‘Vibrate’ under the ‘Notification’. It is not checked, i.e. disabled. 5: Tap the ‘Vibrate’ under the ‘Notification’ to enable it. Now, when you will receive an incoming message, it will be notified by vibrate. Newer How to See Recently Used Apps in Android 4.4.4 KitKat Phone? Older How to Set Vibrate Pattern When SMS is Received in Android KitKat Phone?